IT is set to be one of the most exciting summers of sport, with several major international events competing for space on a crowded calendar. And with Britain and Spain boasting some of the best athletes in the world across a number of sports, the rivalry looks set to reach a new level of intensity in the coming months. The Olympics will see the two nations clash across a wide range of disciplines, with the European Championships in football and Wimbledon adding to the excitement. 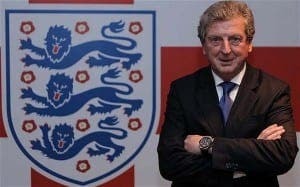 England head into the European Championships in Poland and Ukraine with the usual mix of hope and misplaced optimism. The Three Lions can take confidence from Chelsea’s heroics in Europe this season, not least in their matches against Barcelona, which saw the likes of John Terry, Frank Lampard and Ashley Cole get the better of a team full of Spanish internationals. But new manager Roy Hodgson has had little time to prepare his squad before the tournament and was forced to cancel a training camp at La Cala in Malaga due to a depleted team. Hodgson is missing a string of key players including Jack Wilshere through injury, while Wayne Rooney is suspended for the first two matches. In contrast, World and European Champions Spain come into the tournament with a squad packed full of quality and experience, and are favourites to retain their title. For the first time in nearly 20 years there have been six different winners in the first six races of the season, leaving the Formula One drivers championship wide open. Among the winners so far this season are Briton Jenson Button and Spaniard Fernando Alonso, while Lewis Hamilton has taken pole position in three of the races. All three drivers are former world champions and are expected to compete for the title this year, along with current world champion Sebastian Vettel and Australian Mark Webber of Red Bull. Briton Paul Di Resta has scored 15 points this season but the only other Spaniard on the grid, Pedro de la Rosa has failed to score a single point so far. With British teams McLaren, Lotus and Williams among those battling it out for the Constructors Championship, it promises to be one of the most exciting seasons yet. 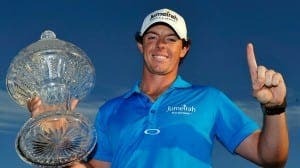 World number one Rory Mcllroy will lead the charge at this summer’s key championships, with the Northern Irishman joined in the top three by English duo Luke Donald and Lee Westwood. Justin Rose is also currently ranked in the world’s top 10, meaning British golfers are likely to feature prominently at the top of the leader boards in the coming months. Spain’s biggest challenge comes from former world number two Sergio Garcia, as well as Alvaro Quiros and Rafael Cabrera-Bello. The great sporting institution that is Wimbledon gets under way next month, with all British hopes once again pinned on Andy Murray. 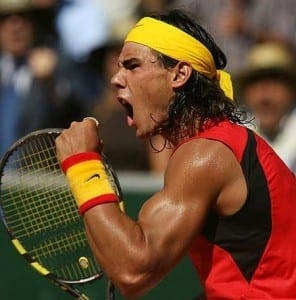 The Scot goes in search of his elusive first Grand Slam title but faces stiff competition, not least from Spaniard Rafael Nadal. The 10-time grand slam champion and world number two knocked Murray out of Wimbledon in 2008, 2010, 2011 and has won the tournament twice. While Murray remains the only realistic hope for British tennis fans, Spain is well represented in the world rankings, with Fernando Verdasco, David Ferrer, Nicolas Almagro and Feliciano Lopez all currently in the top 20 and another four in the top 50. In the women’s draw Spain has three players in the top 50, while Britain’s best hope rests with world-number 67 Elena Baltacha and Anne Keothavong (76), with Heather Watson and Laura Robson also hoping to cause an upset. 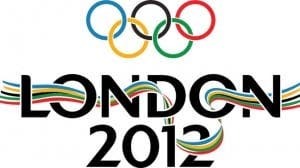 London will become the first city to host the Olympics for a third time when it welcomes athletes from around the world in July, having previously held the Games in 1908 and 1948. British athletes will be hoping to maximise home advantage to build on what was one of their strongest ever performances at the Beijing Games in 2008. Team GB won an impressive 19 gold, 13 silver and 15 bronze, compared to 5 gold, 10 silver and 3 bronze for Spain. Great Britain has won 715 medals since the Olympics began in 1896, and is the only team to have won at least one gold medal at every summer games. Spain has won a total of 113 medals in the 22 summer games in which it has competed, including 1992 when it hosted the games in Barcelona. Both nations are traditionally strong in the sailing competitions, while Britain will hope to dominate in the rowing and cycling events. With Spaniard Alberto Contador banned from competing at this year’s Tour de France after failing a drug test, 2012 could finally be the year that sees a British rider win the world’s most prestigious road race. One of the leading British contenders in the three-week endurance test is Bradley Wiggins, who finished fourth in 2009 – the joint highest finish by a British rider in Tour history. 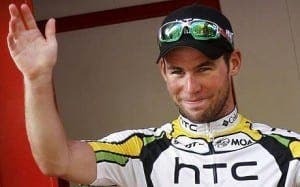 Fellow Briton Mark Cavendish is also in with a chance after finishing second in last year’s race, and has won 20 Tour de France stages in his career, putting him sixth on the all-time list. Spanish riders have dominated the race in recent times, winning four years in a row between 2006-2009, while Contador was stripped of his 2010 title. But with Contador banned and recent winners Oscar Pereiro (2006) and Carlos Sastre (2008) now retired, Britain’s time could finally have arrived. You missed off MotoGP. Although Cal Crutchlow is having a good season, it is another one to Spain with Jorge Lorenzo or Dani Pedrosa having much the better chances of winning the next GP’s. I don’t think Mark Cavendish finished last year, facts people !!!!! “World number one Rory Mcllroy “? Err. World Number one is Luke Donald and has been for most of the past year with a couple of short periods(weeks) for McIlroy. Might help to stick to sports where the writer has a vague clue. If it’s the St George X, it’s England. If its the Union Jack, it’s Britain. And vice versa.